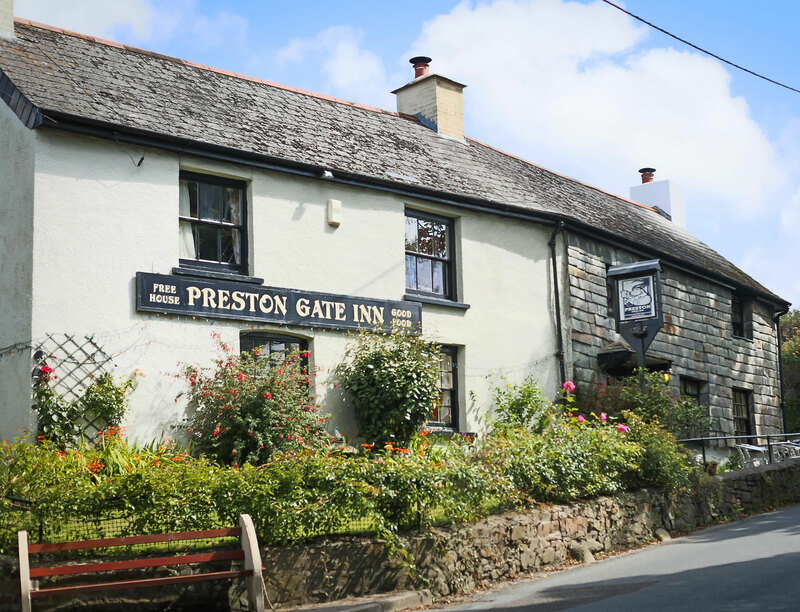 Preston Gate Inn, Poughill near Bude | Great Beer, Great Food, Great Times! Right, let's get down to business. Our business. Which is alcohol. Yes, we do food and we do entertainment, but what we really, really love to do is get you a bit tipsy. Or a lot tipsy, depending on your preference. Whatever your chosen poison, we are sure to be able to cater to your tastes, whether it be ales, spirits or the juice of the vine. The bar is open Monday to Sunday 11am to 11pm. from 12pm - 2pm and 6:30pm - 9pm. please either ring us on 01288 354017 or click below to email us. If you're sensible enough to fancy a little food with your wine or ale, that's something that the Preston Gate can help with. We cater for those seeking out wholesome, homemade pub grub in a relaxed and friendly atmosphere. All of our ingredients are locally sourced, so our seasonal menu changes often, but you can always rely on us for light lunches, delicious dinners and splendid specials. So, your belly is full of delicious grub and you have a pint of real ale in hand. Now what? What you need is some entertainment! 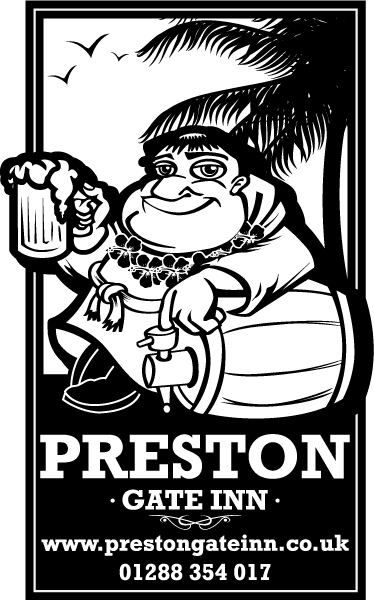 Here at the Preston Gate, we love a good knees up. We believe that all of the food, alcohol and friendly staff in the world are useless if a pub is boring. Fortunately for us (and you) we are not.